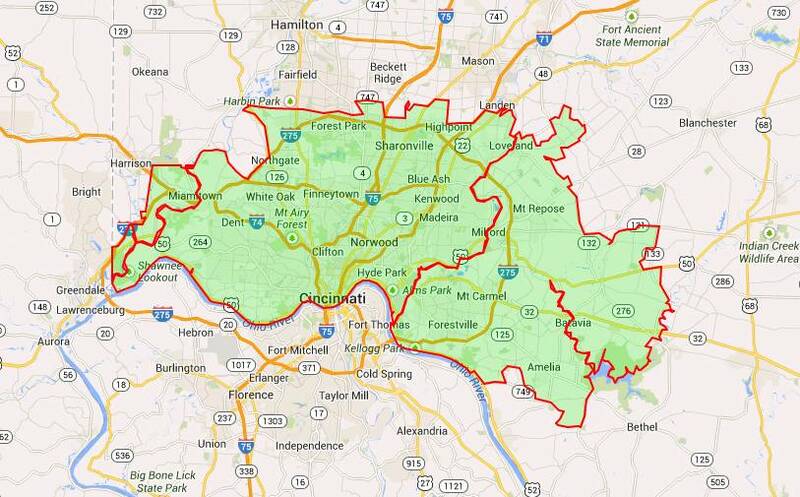 See if The Maids Cincinnati services your area by click to see our map or list of cities and zip codes. When it comes to house cleaning, you may not want to do it but know that it must be done. With that in mind, finding the time to maintain cleanliness in your home can be rather challenging. The Maids of Cincinnati gives you the opportunity to relieve some of this stress from your life and allow you to actually live your life! In fact, you will save money with our highly affordable maid services that not only get your home clean, but cleaned with great detail—down to the cracks and crevices and even floors that are cleaned on hands and knees! The Maids will give you a home that looks newer than ever, while also providing you higher sanitation and a healthier environment too. You will truly enjoy the comfort of a clean home. Get a Cleaning Company That Goes Above and Beyond the Competition! When choosing The Maids of Cincinnati, you get exceptional cleaning services and a highly focused and dedicated professional team of four. Nothing is forgotten about and your home will be cleaned in every nook and cranny. None of our competitors match our quality. When choosing The Maids for your house cleaning needs, you get less to worry about, including finding time to clean, finding to clean in detail, finding time to organize, finding time to clean the dishes, finding time to work on the laundry, etc. Your Cincinnati, OH area home can be cleaner than ever without lifting a single finger! You can spend that gained time on more important things in life like family or socializing. When you choose our cleaning company, you will have that beautiful home that smells great, feels great, looks great, and is healthier and cleaner than ever!